We had a lot of fun today. Mr McNally found the beautiful case study project you see here, designed by architects Marcus Innauer and Sven Matt of Innauer-Matt Architekten of Berzau in Austria. It has a very creative timber cladding design that’s new to us and, being woodfans ,we thought you might appreciate it too. 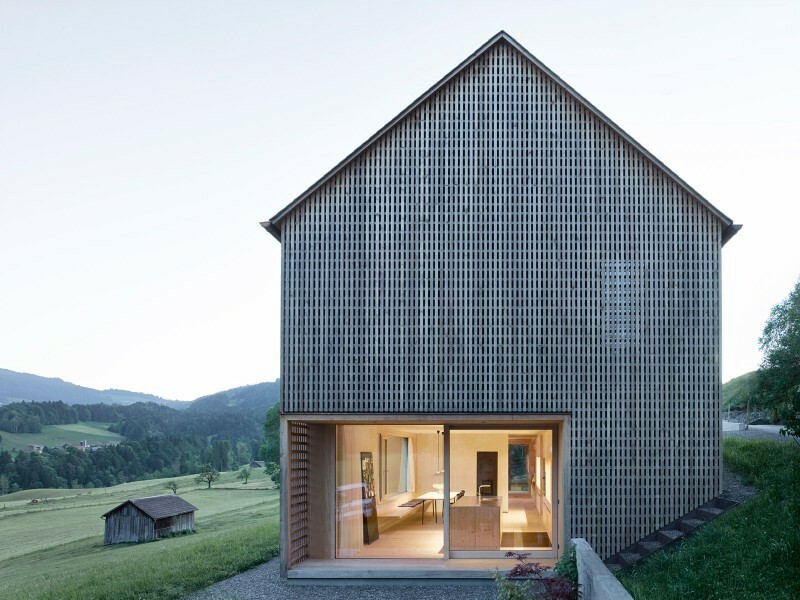 These clever architects have designed a simple but elegant vertical x horizontal lattice rainscreen as protection against what must be challenging weather conditions up there in mountainous Austria. The house wears the rainscreen like a submariner wears a poloneck, enveloped and leaving nothing exposed to prevailing conditions. 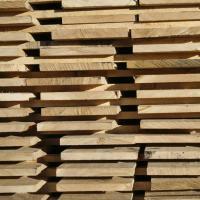 Here wood is an artfully applied raw material providing shelter from a harsh environment. Clever, as the apparently delicate cladding will soften and break up wind buffetting, allows easy air circulation for drying out after lashing rains and will dissipate drifting snow with that broken surface area. The unfussy detailing at ground level and around openings will deal with water run off and long term weathering neatly. We don’t see any reason why this same method of detailing and installation for rainscreen cladding couldn’t be used here in the UK. It just needs someone to specifiy it! 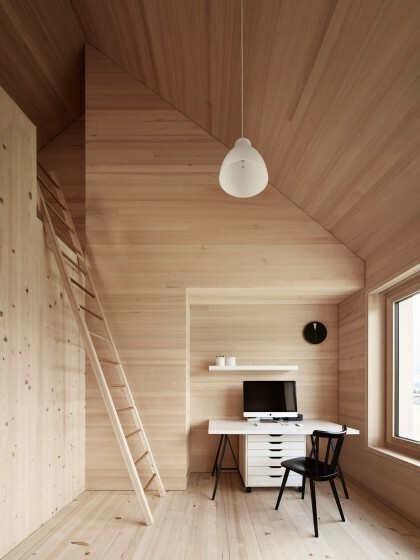 We thought it might inspire you to get creative with your next cladding project or maybe even encourage you to be brave enough to build yourself a new home. 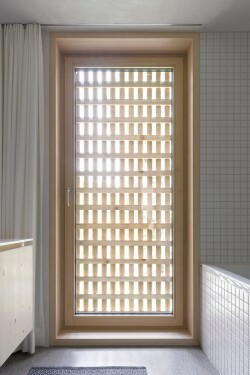 We’re sure the clever people at Innauer-Matt Architekten would be glad to hear from you if you do! First, you decide on a timber species. Think about geographical location and weathering, appearance and aesthetic, type and use of building and for ‘write the spec’ where we’d normally have budget to work to for this we had to take a view. To be fair we usually end up in the mid-range, balancing each other out. 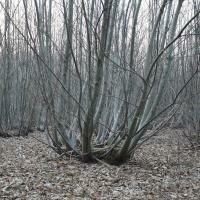 Today we were pretty much instantly, unanimously, in favour of using Sweet Chestnut. We have some BIG Chestnut fans here in this office. Chestnut is a ‘proper’ hardwood. It registers high in the durability stakes (anticipating Austria being challenging weather conditions). It achieves a machined finish very nicely. 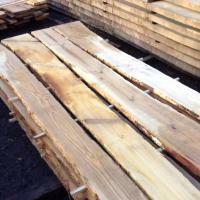 It has good figure, nice grain pattern and a creamy-yellow colour. 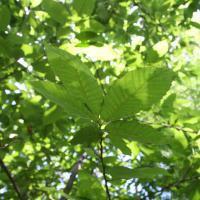 Our UK Sweet Chestnut has earned substantial credentials in terms of sustainability (better than most species) and also in terms of desirability. It’s recognised as higher up the pack in cladding species hierachies (I’ll see your western red cedar and I’ll raise you…) and that gives it kudos. Technically it’s a little bit lighter in weight than Oak which can help on installation and it’s potentially a little bit lighter than Oak on the budget too but we shall see… so Chestnut it is. 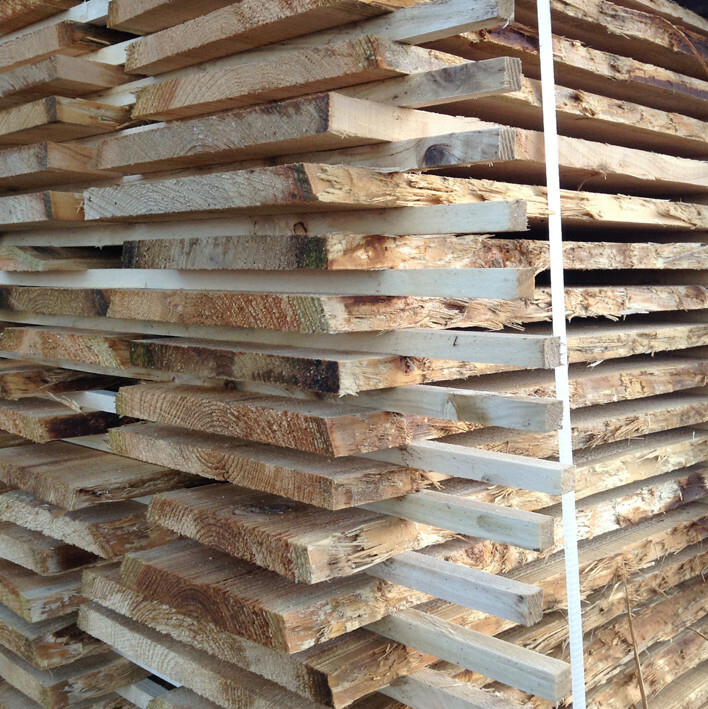 So then we look at existing stock… what stock source of Chestnut looks like it’ll fit the project? 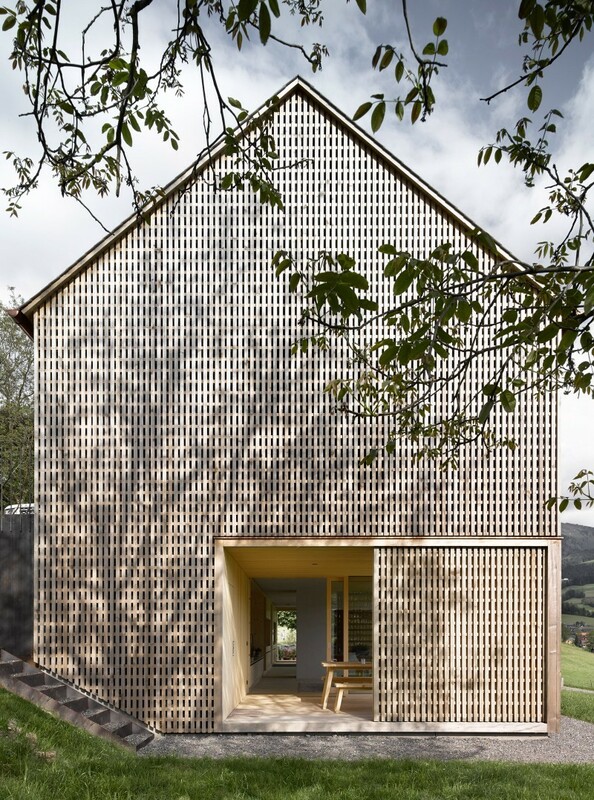 The Innauer-Matt house uses a rainscreen in quite a small section to make the two parts of the lattice so, yes, there’s a choice of fresh sawn or air dried Chestnut and either could work, but for this project we’d all go air dried. It’s more stable. More machinable. Easier to regularise for intricate patterns like this very neat, double layer design. It would potentially mean less on-site waste because the workshop can process the wood and provide a bespoke requirement that precisely fits an installation plan. So air dried Chestnut it is. 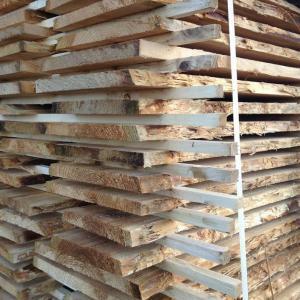 The best air dried stock for this project is the 27mm Chestnut in square edge packs. The packs are made up of through & through milled small diameter logs sourced from forest thinning operations and coppice restoration projects. That means you can be sure the Chestnut is from well managed woodlands, sometimes the woodland is even licensed under FSC or GiB. 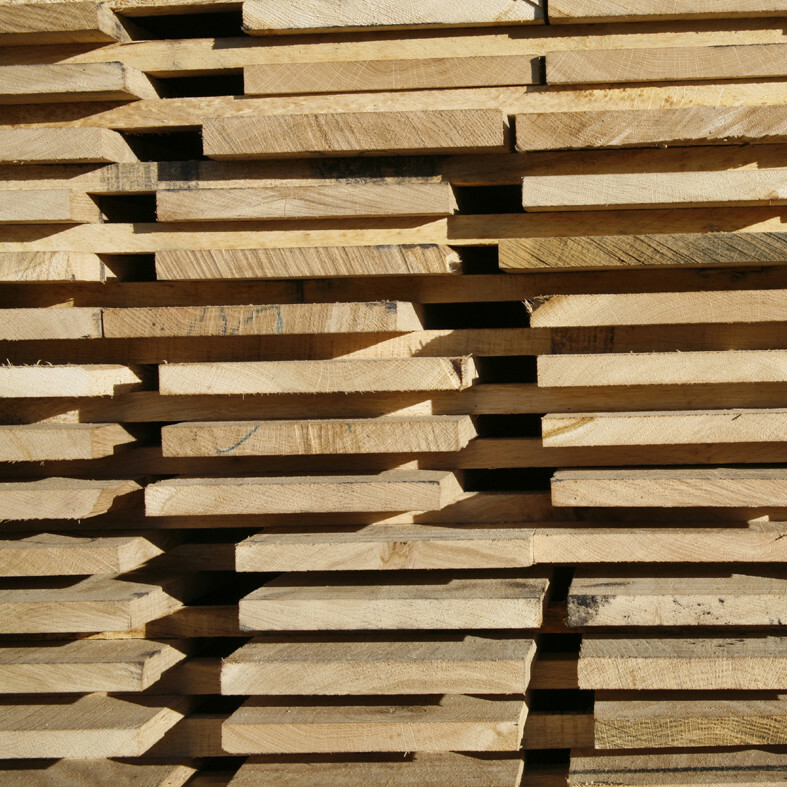 We carry a chain of custody for PEFC, FSC and GiB licensed timber so we can pass these sustainability credentials down through the procurement process to the project. Ok, so we’ve got the stock covered, and we’ve got ‘legal & sustainable’ well and truly covered. Now we do the calculations. Looking at the Innauer-Matt in-situ lattice rainscreen we figure an ex 27mm x ex 60mm would give us a 20 x 50mm planed all round, smooth finished section. Lightweight rectangular strips that will sit securely against one another on the overlap, give good coverage for weathering, achieve an elegant visual appearance but once fixed, create a monolithic, weave-like building skin. Thing is, half of us opted for a 20mm smooth par finish and half for the 27mm sawn, naturally weathered finish. So we priced for both. Clearly on a roll today, Mr McNally was first out of the gates and first to the finish line with the following linear metre prices for both air dried strip Chestnut cladding options so you have him to thank for getting it up to you so soon.. Both these prices are based on a small machining run of 250lm. In real terms, to replicate the Innauer-Matt lattice this would only give about a 15m2 cover. If we’ve whetted your appetite and you want a price for your project in something similar we’d be glad to price on your coverage and specification. 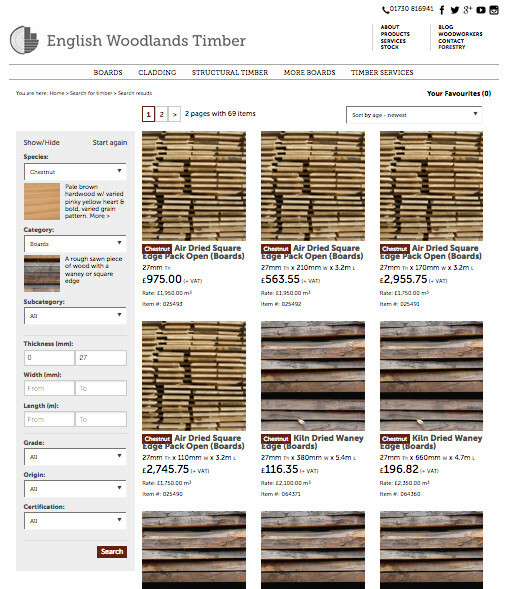 Well don’t stop pondering, the online stock list is your wood world oyster. 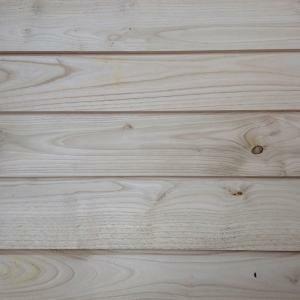 Below are some more Chestnut stock links to occupy your Chestnut rainscreen cladding thoughts. If you have a need for chestnut lattice rainscreen cladding, or any other timber for that matter, and you want to send us a cutting list or your project details to get a quote please don’t hesitate. Use the form on our SEND A CUTTING LIST page to upload details and it will go straight to Chris, Grant & Nick in the sales team and they’ll get back to you. 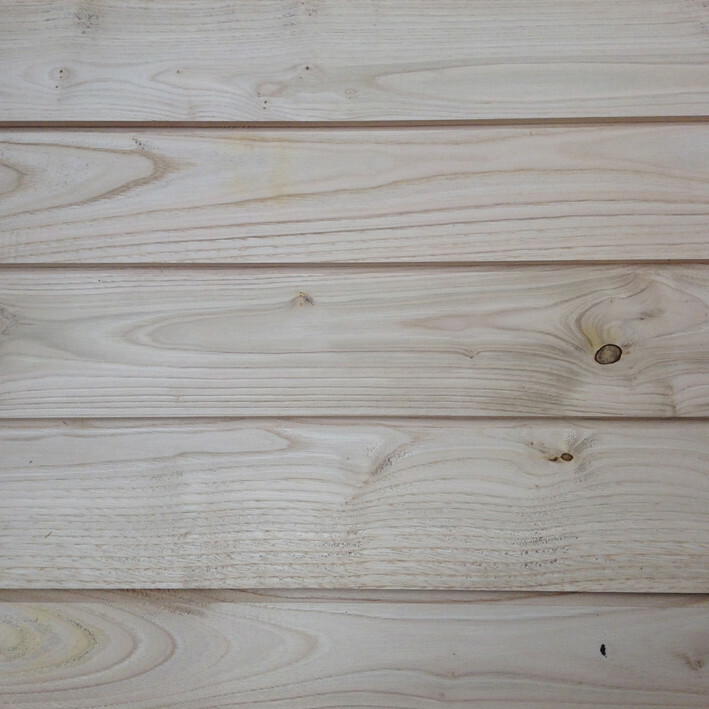 Posted on April 11th 2018 under air dried timber, cladding timber, english hardwoods, Grown in Britain. You can follow any responses to this entry through the RSS 2.0 feed. You can leave a response, or trackback from your own site.